The role of women in peace process is very important at this time. Women have been meeting in various places discussing ways on how to support government in peace implementation. Some of them are holding ministerial positions, civil society and other institutions. They encourage women at the grassroots to embrace peace. 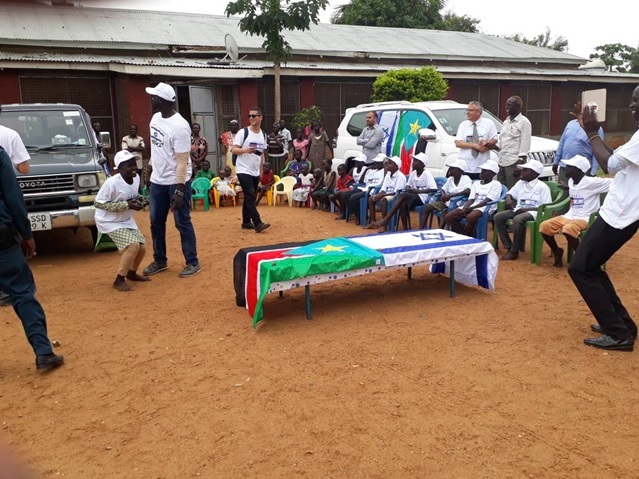 In February this year, women leaders from the SPLM-IO, SSOA, FDs , coalition, OPP, civil society, women Bloc and other groups agreed that they would disseminate peace messages to the grassroots’ women in the states. During the launching of peace campaign in February women said they would translate some words of peace in simple languages for women at the grassroots in order for them to understand easily. For example “Timu Ana, in local Arabic means enough is enough.” That should make them to understand it in a better way. People of South Sudan are tired of severe conflict; they need sustainable peace in the country. Some women got married at the earlier age due to lack of peace in the country. During the conversations in the workshop, there were positive suggestions for peace on the side of women. They suggested mechanism on how to overcome challenges facing them in disseminating peace. Therefore, women leaders suggested that, they should move from one state to another in order to advise women on how to help each other in maintaining peace. For that reason there is peace in the country, people can move freely in the states to pass peace messages. It is their responsibility to simplify the document signed on peace and explain it to women in simple way. There is need to hear from them and what do they want or what should be done on peace. That is the way women could participate in peace building. If there is peace, developmental projects are possible to be initiated; many investors will come to the country to support women projects. However, good security in the states would help women leaders to move in several places and train them in various skills. Though, certain women may demand for small business projects to support their economic status. Others may need to improve their education standard and health. Women need to be encouraged with modern technology to improve their production. During the celebration of International Women’s Day at Nyakuron culture center, the hall was full of women from different groups; they were listening to the leaders talking to them about the important of International Women’s Day being celebrated during peace time. After the celebration at the National level, women leaders continued celebrating the same event at the states’ levels. Making it simple for women to understand, by explaining to them the importance of International Women’s day, how was it started, in which condition? On 20 of March this year, Society of Daughters of Mary Immaculate and collaborators celebrated it at the state level. They were encouraging women to give space for peace. Government officials, Church leaders, Indian Ambassadors’ to South Sudan H.E S.D. Moorthy and others were invited to attend the celebration which was a good sign for promoting women in peace. I hope all people of South Sudan would support this peace because it came through their participation.